According to a recent Amazon sales data, e-books are outselling hard covers 143 to 100. Worldwide, about 4 million electronic book reading devices were sold last year. According to a market research firm, “This market will rise to about 12 million by 2012”. Infibeam.com has brought an e-book reader called Pi that can display Indian languages like Hindi and Sanskrit. Priced at 10,000 rupees ($214) Pi has no backlight display and uses an electronic ink screen that is easier to read than traditional backlit screens. The market in India is still in a nascent stage. Infibeam, in association with the National Council of Educational Research and Training (NCERT), is also planning to bring textbooks available in digital formats. The domestic digitalization of the content is not available in the country; people depend on international e-books, which becomes a costlier affair for them. Vishal Mehta, founder of infibeam shares, “E reading is growing at a phenomenal rate. It is convenient, cost effective and gives wide choice to the readers”. Developed by Amazon.com, Kindle is the most popular e-book reader in the world. Designed for the simple reading of e-books, the display screen measures 6 inches diagonally. The device is provided with a keyboard for other functions such as word processing. The device which is comparatively smaller than laptops has 3G capability. The Kindle hardware works without a computer connection, and it allows users to access Amazon Whispernet without a monthly charge or wireless subscription. It weighs less than a paper bag. Electronic paper technology has made its readability similar to reading a book. Other important features of the Kindle include an adjustable text size feature. Supporting file formats include HTML, TXT, MOBI, partial PDF support and image formats, even though the display is 4-color monochrome. Available for Microsoft Windows, iOS, Blackberry, Mac OS X and Android, “Whispersync” technology helps people incorporate the reading progress, bookmarks and other information across Kindle hardware devices and other mobile devices. Kindle, Kindle 2, Kindle 3 and Kindle DX are the four hardware devices that support this platform. All of them have a redesigned keyboard, thinner design, text-to-speech features and a better grey screen display. Kindle DX features much higher capacity at 4 GB, a larger 9.7-inch display and accelerometer for smooth transition between portrait and landscape modes. With increasing demand for e-readers worldwide, the market has gathered momentum and has attracted many leading players to enter this emerging technology domain. Manufactures are introducing innovative e-reader devices with advanced features, which further increase competition in the market. Amazon is the leading e-reader market globally. Butl companies like Sony, Barnes & Noble, Plastic logic, Asus and Samsung are challenging Amazon’s success. The market has recently witnessed the emergence of low-cost e-readers with minimum features, as well as the new models which can be used in conjunction with a PC or USB dongle to access additional content. The current market of e-books is taken up by early adopters of the technology. In the coming years, mainstream book buyers are expected to contribute to this market. Cost is major barricade preventing a greater-scale adoption of e-readers in developing markets in the Asia Pacific region. If manufacturers are able to come up with a cost-efficient model, it will boost customer interests and bring greater economies of scale. 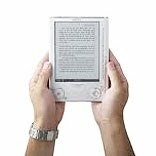 The e-reader market in the Asia Pacific region is dynamic with leading players like Sony, Acer, and Hanwang Science and Technology introducing new devices with updated features. A Sony spokesperson stated that Sony would be making its e-book reader available to Asia-Pacific countries such as Japan, China and Australia as it expands its business to new markets. E-readers from the company were previously available only in the markets of North America and Europe. Sony in the near future shall be extending its relationship with local retailers, publishers and distributors. These companies are constantly paying attention to trends in all markets of Asia Pacific and gauging the demand of e-readers in the region. Presently, the e-reader market might be on a strong growth curve, but this sector will encounter strong competition coming from a wide range of other devices having more advanced features in the same field. Despite the adversities, e-readers will see rapid adoption among bibliophilic customers. As it is not just cost saving but also offers an entire mobile library in a highly portable and eco-friendly form. The e reading device market is ready to see an rising thrust.